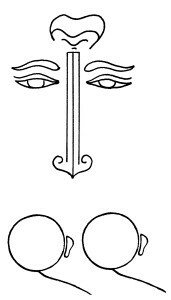 the ‘Remover of Obstacles’ and ‘Lord of Beginnings’. (legend describes Gaṇeśa as the scribe who wrote the Mahābharata from the dictation of Vyāsa). As such he can be viewed as the writer of ones destiny. “We invoke thee, O leader of all the hosts. The wisest of the wise. The Sage of Sages with treasures beyond measure. The King of Brilliance. The lead chanter of prayers. Come with your blessings, listen to our prayers. 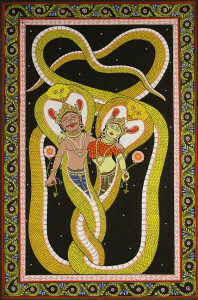 taittirīya saṃhitā V. 4. 12.
and who nourishes and nurtures all beings. Like the pumpkin I am bound. 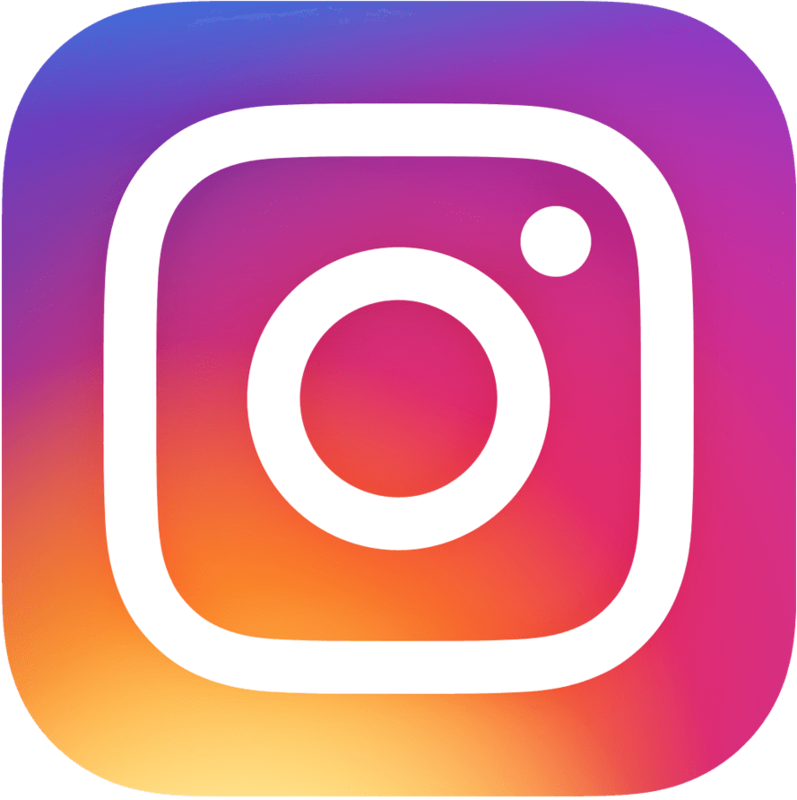 This post follows on from yesterday’s post introducing the use of and intention within the practice of closing chants that follow the study of chanting, or the study of associated Yoga texts. Traditionally chant practice or textual study was also preceded with an invocatory passage to help forge a link between the chanters, what is about to be chanted and its purport, as well as setting a context for study. 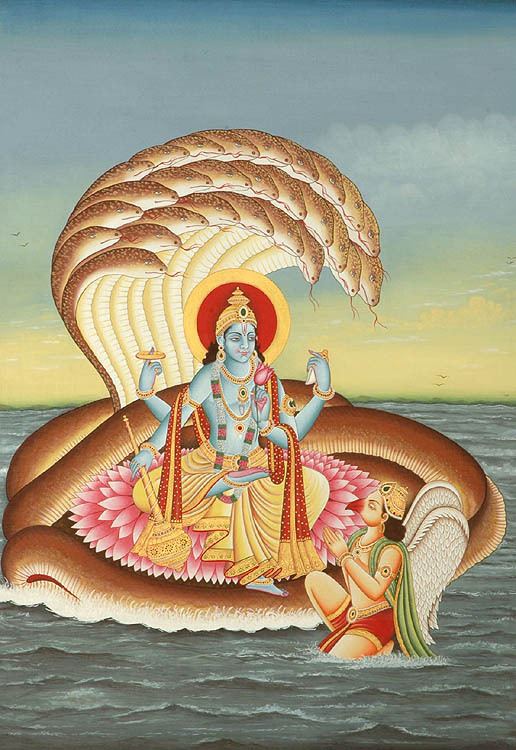 Thus each area of study that the teacher and student were about to venture into was preceded by an appropriate Dhyānam Ślokam, or set of verses that specifically linked the chanters with that particular area of study or practice. Therefore the opening verses would differ according to whether the focus was Veda Chanting, the Upaniṣat, the Bhagavad Gītā, the Yoga Sūtra, etc. In this lineage this particular dedication is a vital part of the closing process within a chant practice or textual study context and was important to and constantly used by Krishnamacharya throughout his life. 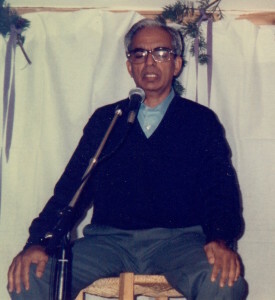 He also taught it to those of his direct students who studied chanting or the chant practices inherent in the study of associated Yoga texts with him within a traditional learning setting. 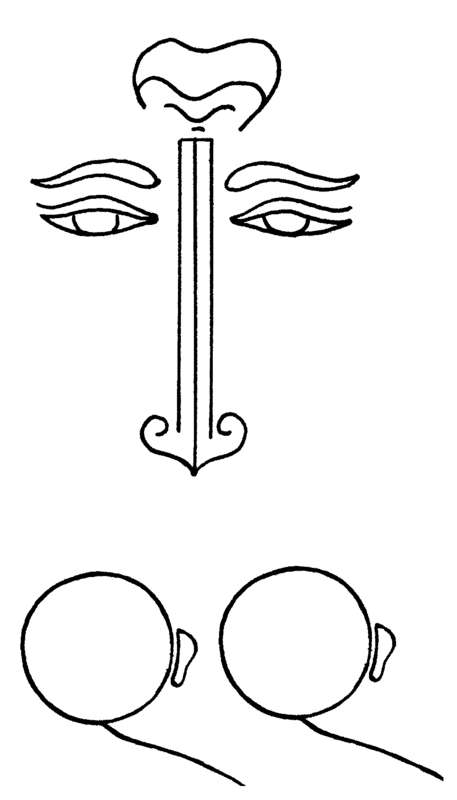 It is also called a Sāttvika Tyāga. This relates to the concept of not giving up the action, just changing your relationship with your expectations around the fruits of the action. 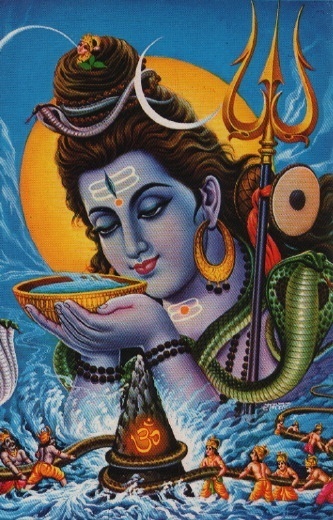 This Bhāvana is inherent in the meaning of the chant and is linked to the teachings around the surrender of the self. 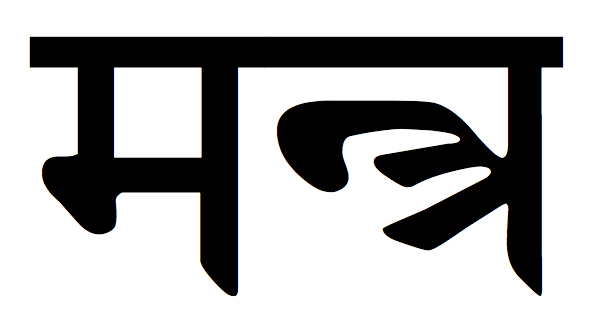 Further reflections on Krishnamacharya’s teachings on the concept of Sāttvika Tyāga within the Bhagavad Gītā will be offered within a future post. View or download this Chant and Translation as a PDF. View or download this post Chant and Translation with chanting notations as a PDF. 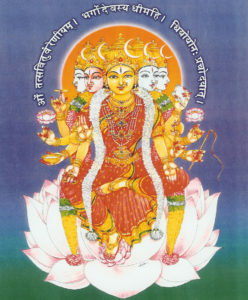 The Yoga Tārāvalī is a source often quoted within Aṣṭāṅga Yoga Communities because of the adoption of its opening verse (along with one of the traditional opening prayers to Patañjali) as their opening prayer dedications. However it is a full text in itself, has 29 verses in total and is primarily a teaching on Haṭha Yoga. It was one of the Haṭha texts taught by T Krishnamacharya to TKV Desikachar, along with the more popular medieval Haṭha Yoga Pradīpikā and other lesser known Haṭha texts such as the Yoga Yājñavalkhya. Therefore if the opening verses would differ according to whether the focus was Veda Chanting or Study, the Upaniṣat, the Bhagavad Gītā, the Yoga Sūtra, etc. 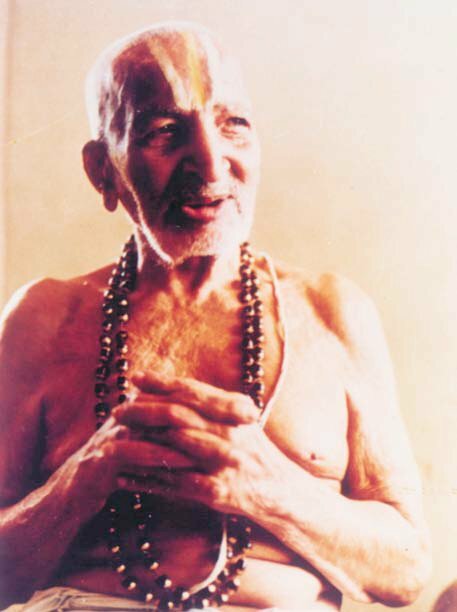 The Dhyānam Ślokam here were taught by T Krishnamacharya and is the long form transmitted to me by TKV Desikachar which includes two prayers relating to the Krishnamacharya family lineage and spiritual tradition. 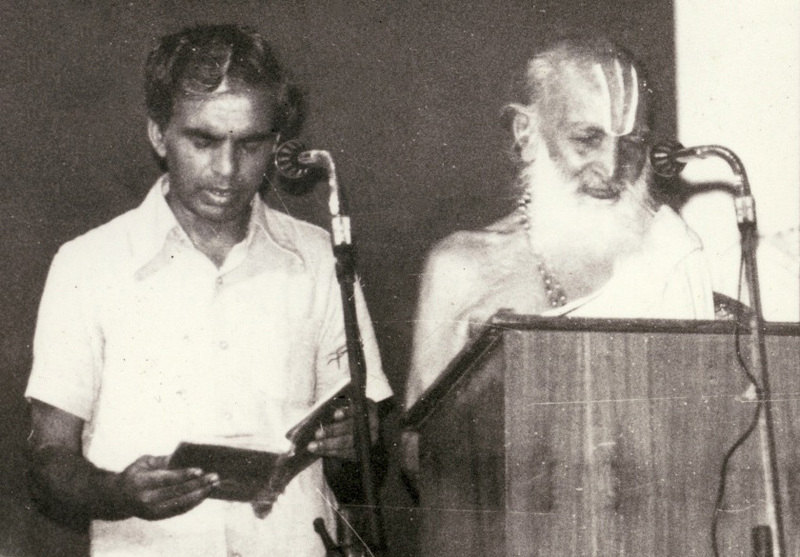 This is a translation of part of the Opening Prayers as taught to TKV Desikachar by T Krishnamacharya and taught by TKV Desikachar to his personal students. 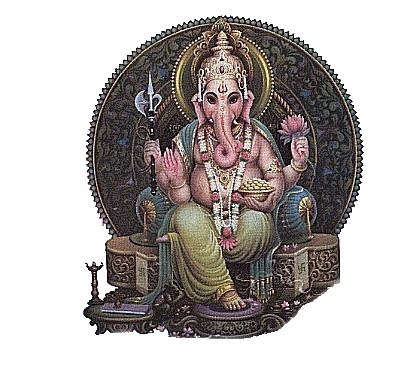 View or Download the Prārthanā Ślokam (Request Prayer) – Dhyānaṃ Ślokam relative to Patañjali. grammar for speech and medicine for impurities of the body. ‘Up to the shoulders human form, holding conch, disc, sword. It was learnt by heart as a Bhāvanam for Dhyānaṃ, to create a meditational mood linked to Patañjali prior to commencing either chanting practice or textual study of the Yoga Sūtra. 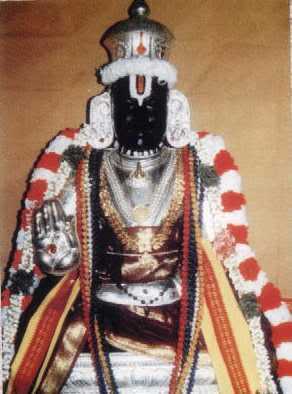 View or Download the Prārthanā Ślokam (Request Prayer) – Dhyānaṃ Ślokam for Patañjali with translation. 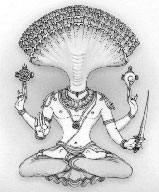 Listen or Download the Yoga Sūtra Full Dhyānaṃ Ślokam for Patañjali by TKV Desikachar as a sound file. of the most excellent sun. Gāyatrī is a particular ancient metre or rhythmic pattern of twenty-four syllables generally composed as a triplet of three lines with eight syllables in each line. 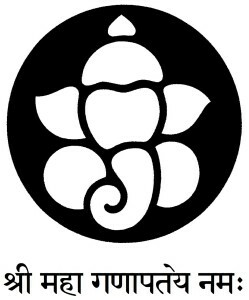 Hence T Krishnamacharya’s view that Om is not a component part of this Mantra, though it may be added as an accompaniment if appropriate, according to the students background, interest and understanding. 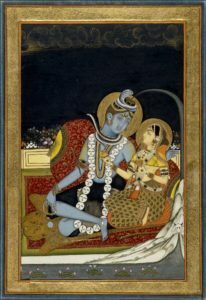 View or Download this post in Romanised Saṃskṛta with a translation and traditional chanting notations. This mantra is asking for health and long life to link body, senses, energy, mind and awareness. View or download this post as a PDF with chanting notations without translation. Chant from Vyāsa’s commentary to Yoga Sūtra Chapter Three verse 6. Only through Yoga Yoga arises. View or download this post as a PDF with chant notations. Mantra on tapāṣtāṅga or the eight limbs of tapas. – Tapas is an activity of mind, body or speech which demands a keen concentration of thought or requiring unusual and continuous physical effort. Prepared and Published by Cologne Digital Saṃskṛta Dictionaries. Choose the SLP1 Input option and use the downloadable PDF Saṃskṛta alphabet guide to help with choosing the appropriate Romanised Saṃskṛta letters. This prayer is used most often as an opening verse or Prārthanā Ślokam – Request Verse.